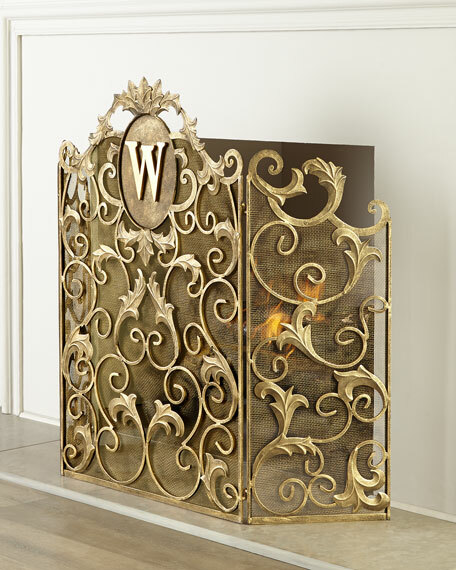 Monogrammed fireplace screen with acanthus leaf accents. 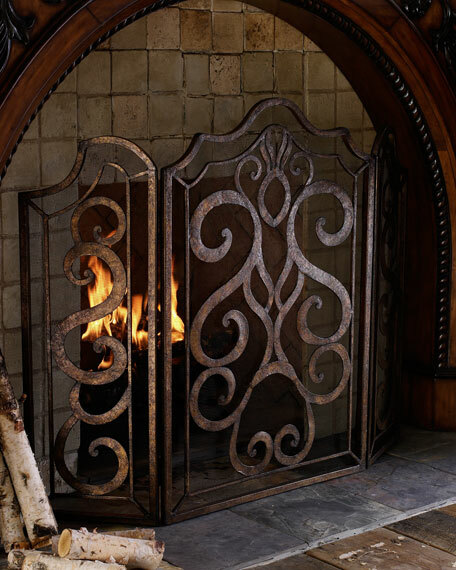 Made of iron and tole. 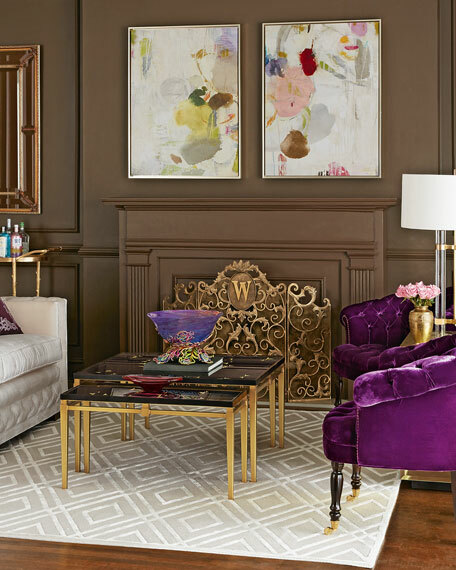 Hand-painted lightly burnished, golden finish. 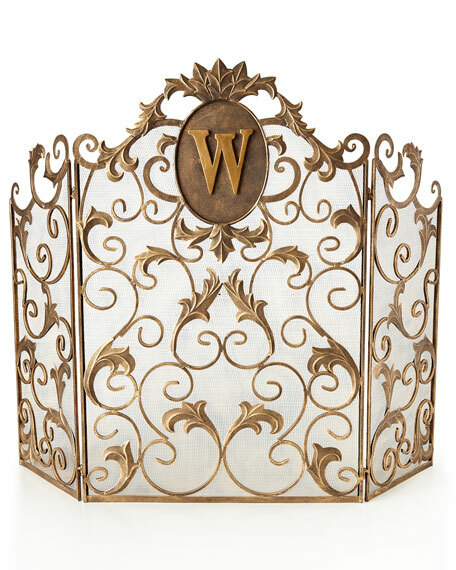 Personalization is one 5" letter in style shown. 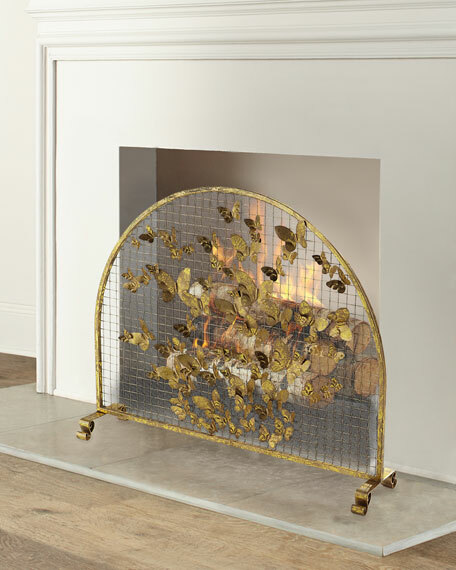 46.5"W x 0.5"D x 36"T.
EXCLUSIVELY OURS.Handcrafted golden arched fire screen. Single panel featuring tole butterflies. Crafted of iron. Mesh backing.Not for outdoor use. 38"W x 9"D x 31.5"T.Imported.Boxed weight, approximately 25 lbs. 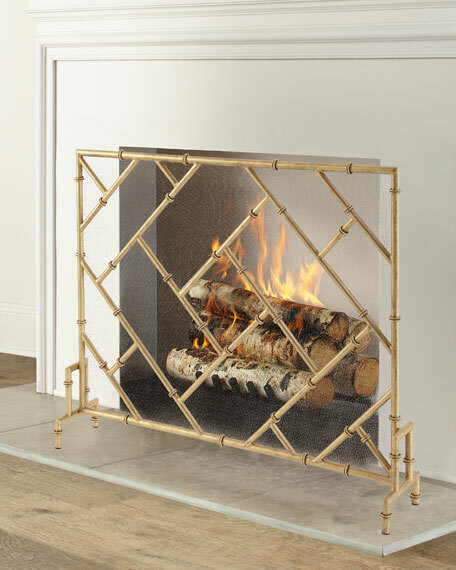 EXCLUSIVELY OURS.Handcrafted fireplace screen with unique bamboo-inspired design. 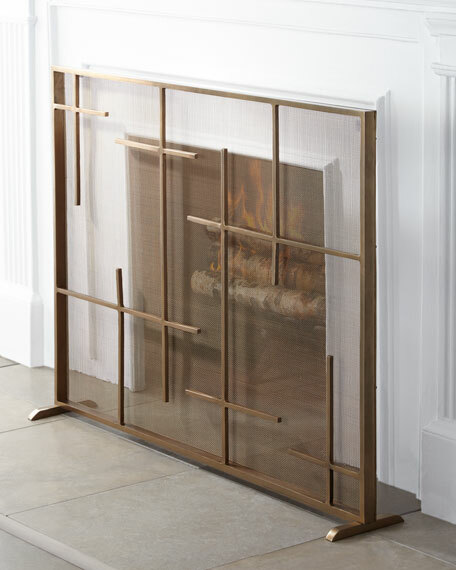 Iron frame with mesh backing. 39"W x 8.5"D x 31.3"T.Imported.Boxed weight, approximately 20 lbs.